Looking for the best coffee maker for your daily coffee? 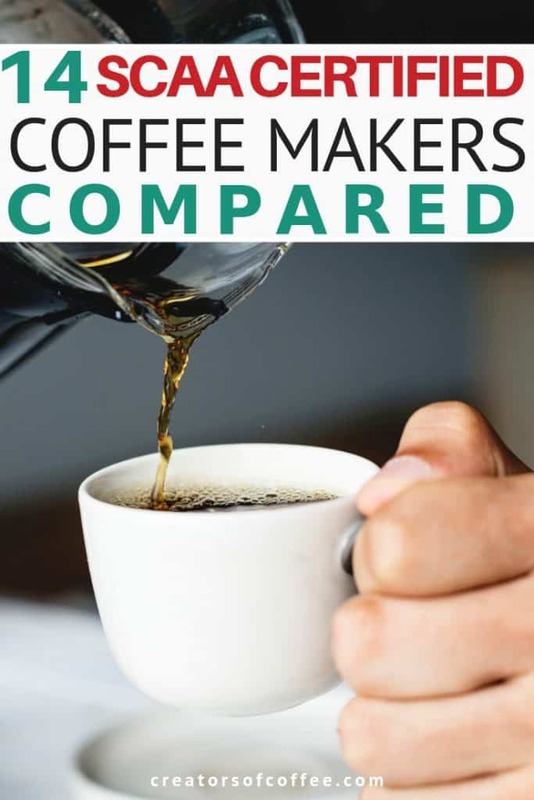 We compare the features of all SCAA Certified Coffee Makers to help you choose. The Specialty Coffee Association of America (SCAA) is an industry association focused on improving standards and awareness in order to make coffee better. It has recently merged with the Specialty Coffee Association of Europe to form a single trade group, the SCA. The Association manages the SCA Certified Home Brewer Program. Their objective is to help consumers choose the best coffee maker for home. The Program is the gold standard in certification for autodrip coffee makers. We are excited to share our feature comparison table with you here. To help you decide which coffee maker is best for you, we have researched the SCAA approved coffee brewers available on the market – all 14 of them! In the comparison chart below we list the key features of each coffee maker side by side. They are ordered alphabetically by carafe size, smallest to largest. Click here to read the full reviews for SCAA Coffee Makers. By choosing a scaa-certified coffee maker you can be confident you will enjoy great coffee, every time. Manufacturers submit their coffee makers to the SCA for assessment in order to obtain the prized certification. The SCA assesses the home brewers on 9 strict brewing criteria. Certification is valid for three years. It is also tied to a specific make and model. Read the full reviews for 6 of the best SCAA Approved coffee makers here. Note that the OXO 12-CUP is no longer available and we have not included in our comparison. Please note: It is not unusual for manufacturers to make changes to machine features. This feature list is current as of 2018. Please refer to the manufacturer website for a full list of coffee maker features.